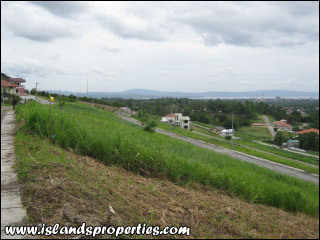 Overlooking Residential Lot; Lot Area: 328 sq.m. Located in the elevated area of Monteritz. Overlooking. You can see different beautiful sceneries of Davao City while viewing in the top. Davao City is one of the most alluring gateways to the Philippines. There are two reasons which make Davao unique: its people and its warm hospitality. Within bucolic highlands, migrants from all over the country live in harmony with indigenous tribal folk. Close to Davao City is Mt. Apo, the country's highest peak and home to the monkey-eating Philippine Eagle, an endagered species, and the waling-waling, a rare ochid of exceptional beauty. Davao is the biggest cutflower producer in the country and a major exporter of tropical fruits. A tour of the city and its outskirts will bring the visitor to Dabaw Etnica, a tiny settlement of the Mandaya Tribe; Dabaw Museum whose diaplay includes tribal artifacts and costumes; and the Taoist and Lon Wa Buddhist Temples. Davao is also known for its exquisite beaches, there is even an old Pearl Farm that has been converted into a world-class resort. These beaches are all easily accessible by banca (out-rigger boat) or land travel. Davao City covers 244,000 hectares, the world's largest in terms of land area. It is located in the Province Davao del Sur. It is bounded on the North by the municipality of Kapalong and on the North East by the municipality of Sta. Cruz, Davao del Sur; on the East by the Gulf of Davao and on the West by Mt. Apo and the province of North Cotabato; and on the North West by the province of Bukidnon.